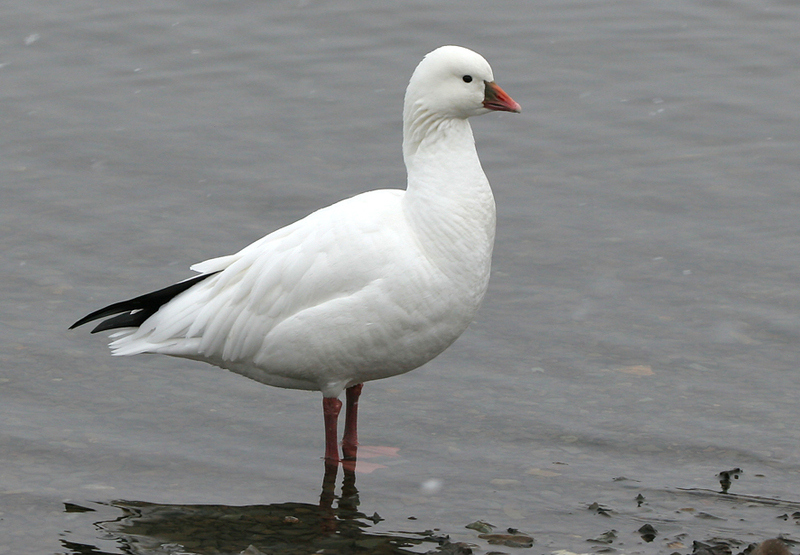 This adult Ross’s Goose was present in St. John’s during winter and early spring of 2005-2006 – the only record for Newfoundland. Origins: Breeds in the Canadian arctic, but normally winters in the south and southwestern United States. It is a rare vagrant to the Atlantic region. Record Details: One record for Newfoundland: St. John’s, December 16 2005 – April 2006.